all CD`s are factory sealed and original. First class shipping $5.00 for first cd will combine shipping cost on additional cd`s. 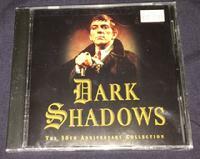 Item #57022 Dark Shadows- The 30th. Anniversary Collection Soundtrack CD $17.95 ea. In Stock Dark Shadows- The 30th. Anniversary collection cd is brand new, sealed. 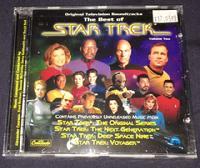 Item #48061 The Best of Star Trek- Volume 2 Soundtrack CD $17.95 In Stock (ONLY HAVE 1) The Best of Star Trek- Vol. 2 soundtrack cd is still sealed brand new. 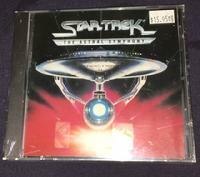 Item #12958 Star Trek- The Astral Symphony Soundtrack CD $17.95 In Stock (ONLY HAVE 1) This Star Trek-The Astral Symphony soundtrack cd is still sealed, brand new. 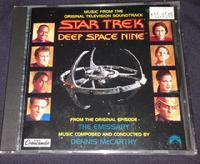 Item #48034 Star Trek- Deep Space Nine- The Emissary Episode Soundtrack CD $17.95 In Stock (ONLY HAVE 1) This still sealed Star Trek-Deep Space Nine- The Emissary episode cd is brand new. 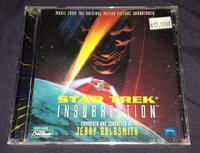 Item #48059 Star Trek- Insurrection Movie Soundtrack CD $17.95 In Stock (ONLY HAVE 1) This still sealed Star Trek-Insurrection movie soundtrack cd is by Jerry Goldsmith. Item #61816 Star Wars-Episode 1- The Phantom Menace Soundtrack CD $17.95 ea. 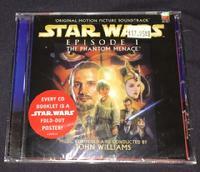 In Stock This Star Wars- Episode 1-The Phantom Menace cd soundtrack is still sealed, near mint, by John William. 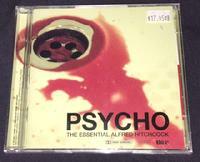 Item #11012 Psycho-The Essential Alfred Hitchcock Soundtrack CD $17.95 In Stock (ONLY HAVE 1) This sealed Psycho- The Essential Alfred Hitchcock soundtrack cd with music by Bernard Herrmann, brand new. 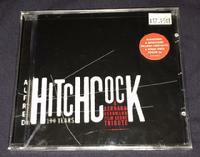 Item #58842 Alfred Hitchcock 100 Years-A Bernard Herrmann Film Score Tribute CD $17.95 In Stock (ONLY HAVE 1) This still sealed, Alfred Hitchcock 100 years-A Bernard Herrmann Film Score Tribute.